Play has been central to my avocational and intellectual life. I have played in many ways–playing pretend, acting in a play, playing a role, playing games–and I have incorporated play into the ways I learn and the ways I teach. Despite the recent attention to gamification, particularly in education, no one needed a quest or a badge to understand the way play is a part of and is change and experience and critical thinking and understanding. (At least, if they were really paying attention and had an ounce of curiosity about the world.) This is not to say that we shouldn’t figure out ways to optimize (not maximize) play. For me, I realized–probably from watching like-spirited friends, teachers, strangers–that wanting to know or see or understand or explore was incentive enough. Whether I was playing in imagination, playing in language, playing on the field, playing on the living room floor, or playing on the computer, I discovered that I could transfer ideas and skills and inspirations from one magic circle to another or that I could combine them and overlap them in ways that illuminated connections, disagreements, and transformations. Play is all about interdisciplinarity. Therefore, I try to make sure I play everyday. Online, I generally play MMORPGs like World of Warcraft (though because of the demands of dissertating starting my new position as Assistant Professor at Drew as Visiting Assistant Professor in Women’s and Gender Studies at the University of Oregon as Assistant Professor of English at Ohio University, I am currently on hiatus, usually logging on for a class or in order to do a little research). 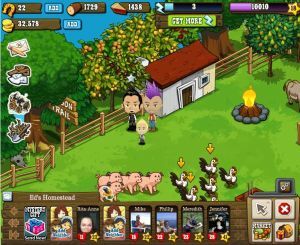 I am also currently interested in online social networking games like Farmville and Frontierville, particularly thinking about casual gaming, gamification as commodity phantasmagoria, and the narratives of friendship, connection, and collaboration that obscure technonormativities like racism, sexism, and homophobia. In fact, one of my dissertation chapters is on gamification and games like Frontierville, which is in process to becoming an article in an edited collection on video games and sexulity. 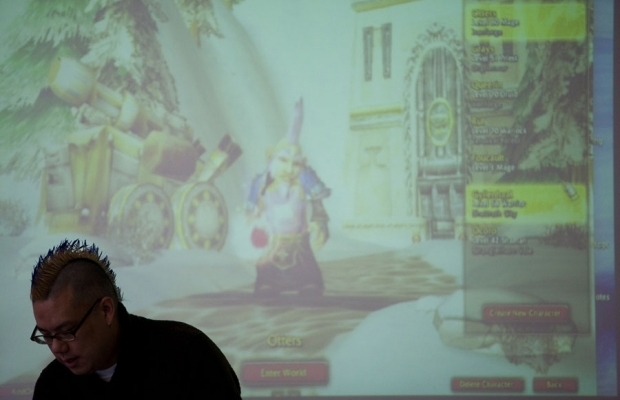 Some of this material has been published as a standalone article: “Love is in the Air: Queer (Im)possibility and Straightwashing in FrontierVille and World of Warcraft” in QED: A Journal of GLBTQ Worldmaking. Who doesn’t like to roll dice? I am an avid tabletop (or pen-and-paper) gamer and have played systems of many colors and stripes, particularly Dungeons and Dragons, Call of Cthulhu, Star Wars, Champions, Vampire, and Traveller. 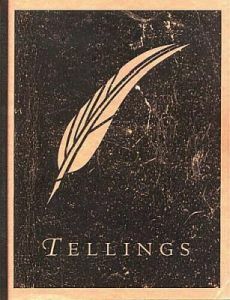 But, for the past twenty years, I have played a game of my own design and writing called Tellings. Wherever I go, wherever I live, I always try to put a regular gaming group together. (When I first moved to Seattle–sans gaming group–I actually ended up teaching a 2-credit class on tabletop RPGs just to be able to play Tellings.) The tenth edition of the Tellings rulebook is available on Amazon. I also designed and wrote a live-action role-playing game called Archaea. Archaea is a point-based, skill-based high fantasy padded weapon wargaming system (I hate the term “boffing). I ran an Archaea group in the Maryland-DC-Virginia metropolitan area for seven years. Alas, organizing and staging a LARP is much more time and resource intensive than pulling a gaming table together. However, as with my love for Tellings, I found a way to play Archaea by offering a 2-credit introduction to LARP class at the University of Washington for five straight Spring Quarters. I hope to bring the LARP class to the University of Oregon. The Archaea Live-Action Role-Playing Game rulebook is available on Amazon. 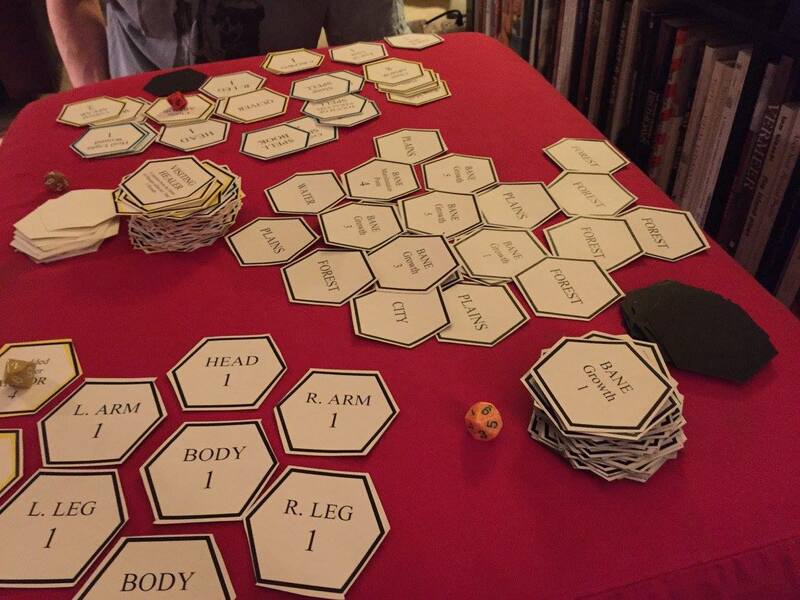 I am currently in the design and playtesting process for a card game based on my LARP game called Archaea Bane. I wanted to create a cooperative, semi-autopoietic card game. And I wanted a game that foregrounded cooperative play. Archaea Bane has gone through several iterations so far and hopefully will land on a stable base deck soon. I read (a little or a lot) all of the time. It keeps my vocabulary and wit sharp (I hope). But, really, reading is playing. In any case, hello from Long-Ago and Far-Away.